In this post, we’re continuing with having a look at our relationship to Hope, with what we establish in the previous post regarding Hope as HOP-E, hopping/jumping/skipping within and between the polarities of Energy as the negative, neutral and positive. So, let us first have a look at how ‘Hope’ manifests within us in our relationship to the Mind, and then from here – have a look at how ‘Hope’ relates to the Religion of 2012. Hope, is an interesting Energy-Experience that can fill the Mind and Body with the ‘promise’ of something better/new. The Energy itself is experienced as fulfilling, comforting and seem so real – that that which one created a relationship with ‘Hope’ to, as a ‘Promise’, seems to be ‘so real, that it must/can come true’. 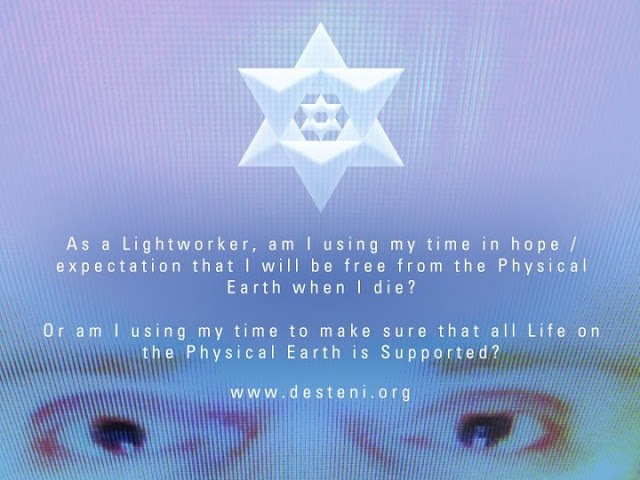 Now, how is it possible for such an energy-experience to delude the Mind and Physical experience of the human being to such an extent, that they’d ‘Wait in Hope for the Promise’, but would not do or even consider / investigate the Physical Actions / Real Living that would be required for such a Promise to manifest – and within so doing, ‘test’ whether such a ‘promise’ is in fact ‘feasible’ / ‘practical’ / ‘real’. That, the experience of Hope and its connection to the Promise in the Mind/Imagination of the Human, becomes MORE than Seeing the Reality of what would be required to be done for the Promise to be/become ‘Real’. Here, I’m for example having a look at the state/condition of humanity/this physical existence – everyone “Hopes”, one day things will Change, but would not investigate/introspect what would practically, physically need to Change within ourselves, humanity and our relationship to this Physical Existence for Change to be REAL. Why/how has ‘Hope’, the Energy Experience of Hope in the Minds of Human Beings, come to supersede the Physical Actions/Participations in fact needed for Real Change to take place? But, instead – human beings, in Hope – look like these googly-eyed aliens, that is staring at some light far away, transfixed, with these zombie-like smiles on their faces, mouths wide open, staring…doing nothing, while the Physical Real World around them is being driven by extinction within this Obsession and Possession of ‘Hope and Promise’. So, again returning to our relationship with the Mind – how often, within ourselves do we “Hope for the best” / “Hope that things will just work out” / “Hope that everything will be okay/alright” – when, with looking at ‘life on earth’: it’s not the Best, it’s Not Working Out and it’s far from being Okay/Alright – and it’s been this way throughout the History of Human Civilization. So why/how is it that there has not been more of a standing of human beings, coming together and standing together to sort out our relationships in/as this Physical Existence into actual, real Solution – preventing the Consequence that exist today from repeating/having to exist? When, what seems to have happened more is that: Human Beings have inverted themselves into their Mind’s Imagination, creating Projections of a Future that is Non-Existent and then connecting such a Future with an Energy-Experience of Hope? What is it that’s been driving human beings, further into the Mind’s Imagination in ‘Hope of Change’, but there hasn’t been practical application/action/direction/considerations made to stand up/stand together for Solutions for ‘life on earth’ within and as the Principle of/as what is/would be Best for All? So, here, we now have to consider the Great Polarity – the separation between the MIND and the PHYSICAL, and why/how it is, when things got more and more ‘tough’ within ‘life on earth’ – human beings went more and more into and as the Mind/Consciousness, separating their awareness more from responsibility in/as this real physical existence, into and as the Multi-Dimensional Energy Realms within the Mind. That, it’s interesting within this, that – we’ve as human beings, throughout the generations, trusted what we Experience in the MIND MORE, than Commonsensical Equal and One Living/Direction and Solutions to/as ‘life on earth’. It’s like – the more things got tough, the more human’s submitted to the World Systems and the More they moved themselves into and as the Majority-Elite relationships within/as this Physical Existence. Granted, yes – there was the Preprogramming factor Involved, regarding human beings’ deliberate enslavement to/as Consciousness/the Mind and so the World System’s relationship to Humanity was easily set, because “as within, so without” – the submission and enslavement accepted and allowed by the Mind/Consicousness, manifested the submission and enslavement accepted and allowed by/through the World System. HOWEVER, still – the question can be taken back into the Interdimensional/Dimensional Existence, when the Wars broke loose during Anu’s Existential take-over to gather being’s from the Races of Existence to create the Human Race, where many beings – aligned with ‘Hope’ of change within themselves, held captive and hostage by/through their own Hope for Change – without any change Ever happening within existence. The more such beings aligned themselves with ‘Hope for Change’ – the more Power, Dominion and Control Anu/the ‘Creator Gods’ had over/of existence and so the enslavement/submission to Him and his Creation/Existence continued. Thus, with tracing the History in/as our relationship to Hope, what is evident within this is the component of FEAR. That, in our history in/as the interdimensional-physical existence, we reacted in Fear to/as the changes within existence, we reacted in Fear to/as the Mind/Consciousness, we reacted in Fear to/as the authority/control of the World System, our Survival dependency on Money – we’ve always been reacting in Fear and in/as this Fear, giving the Power to That which we Fear. In our History we gave the Power to Anu/the ‘Creator Gods’, we’ve given the Power to the Mind/Consciousness, we’ve given the Power to this World System of Money – and in/as this Fear we’ve become towards the systems of the past and the now, we created the Polarity of this Fear as HOPE within and as our beingness/mind relationship, that is in fact an ENERGY EXPERIENCE polarity of/as its origin Energy-Experience Polarity that is Fear. So, there are multi-dimensional aspects to consider regarding the relationship between Fear and Hope and the projection of ‘Promise’ within the Mind, that with the advent of 2012 – we’d HOPE for a new world, new experience, new life, new earth or whatever the ‘Promise’ would be for whatever prophecy/prediction, but that Hope would always only exist within the Mind’s Imagination, because human beings aren’t seeing, realising and understanding the dynamics of the energies within the Mind as Consciousness, its relationship to the Physical Body and the origin/source of/as such Hope as FEAR. And that as long as human beings exist in/as this relationship between Fear and Hope with the Projection of ‘Promise’ in/as the Mind: nothing and no-one will change. Because the EVIL that exist in/as this existence, can/will only change through facing the Evil within and as the Mind/Consciousness, and reversing one’s existence from EVIL to LIVE, through and as actual, real, physical, practical application and Living. It’s interesting that, Promise – hasn’t changed anything/anyone in existence. Hope – hasn’t changed anything / anyone in/as this existence. The Fear that’s created the Hope and Promise in/as the Mind, has in fact manifested within/as our Minds, our Physicals, our Personal Worlds and this physical existence as a whole. We’re creating this existence on levels that human consciousness is not aware of, because human beings are contained only within the Conscious, Subconscious Mind Dimensions of the Mind, when in fact – what we create/manifest, originate from/of the Unconscious, Quantum Mind and Quantum Physicals levels of the Mind/Consciousness’s existence. And so, what is / has become the most Powerful Force within existence: FEAR. Who’s creating, accepting and allowing it to be so: the Human. So, as our History within existence show – it’s due time that we re-align our relationships from Reaction to Prevention. From accepting and allowing ourselves to exist in Fear of the Mind, Fear of this World System – walking the process of releasing self from FEAR Reaction to Here Living/Prevention, which is the change of one’s relationship to self/this World from Fear Reaction creating Consequence in giving the power/authority to/as Fear, to HERE Living/Prevention – actually becoming a Living Solution, and establishing Solutions to/as humanity/this Physical Existence. As is said “Prevention is the best Cure” – however, our relationship to ‘Hope and Promise’ within and as the starting point of Fear has done everything but “Prevent”, on the contrary – it has proliferated Fear within and as this Existence. So, time to take Self-Responsibility, become the Living Solution.